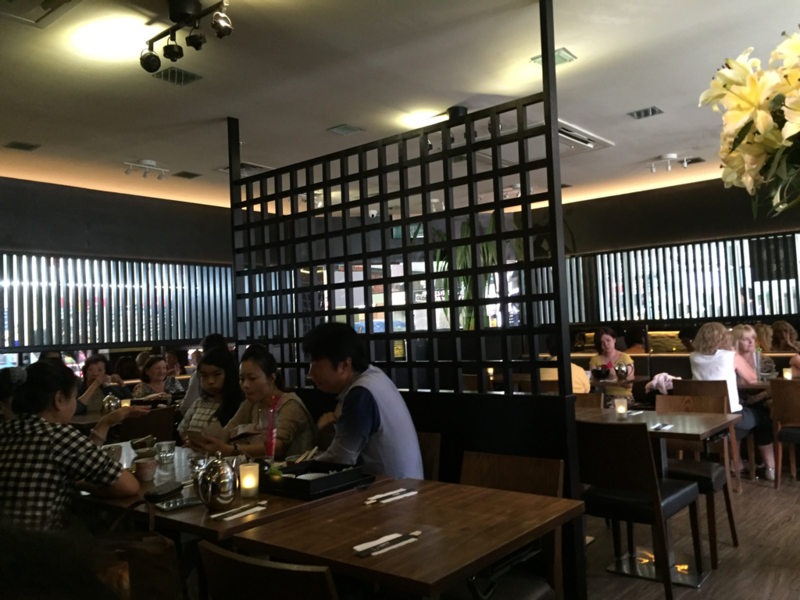 HERBIVORE VEGETARIAN RESTAURANT: Legit vegetarian Japanese food. 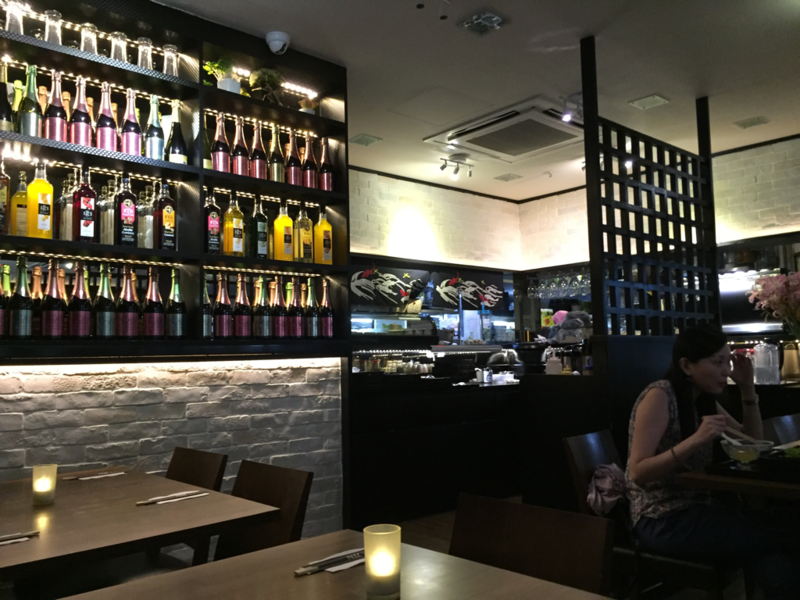 "Herbivore Vegetarian Restaurant is opened by the same owner of Zen Japanese Vegetarian Restaurant. 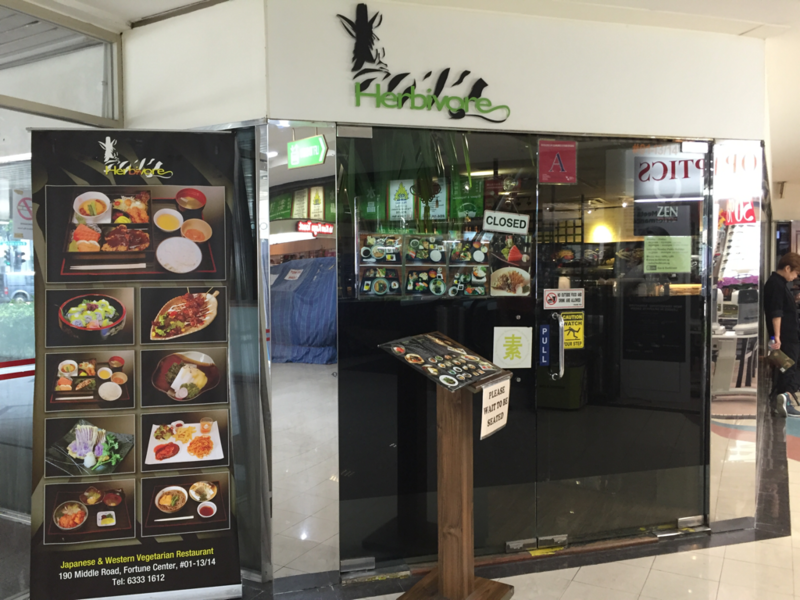 Located near Midlink Plaza, Herbivore offers a menu similar to Zen’s, and additional Western food, such as burgers, sandwiches and even steaks. At Herbivore, the food is vegan friendly, as no eggs are used in preparing the food. We also do not use garlic and onion in our meals. 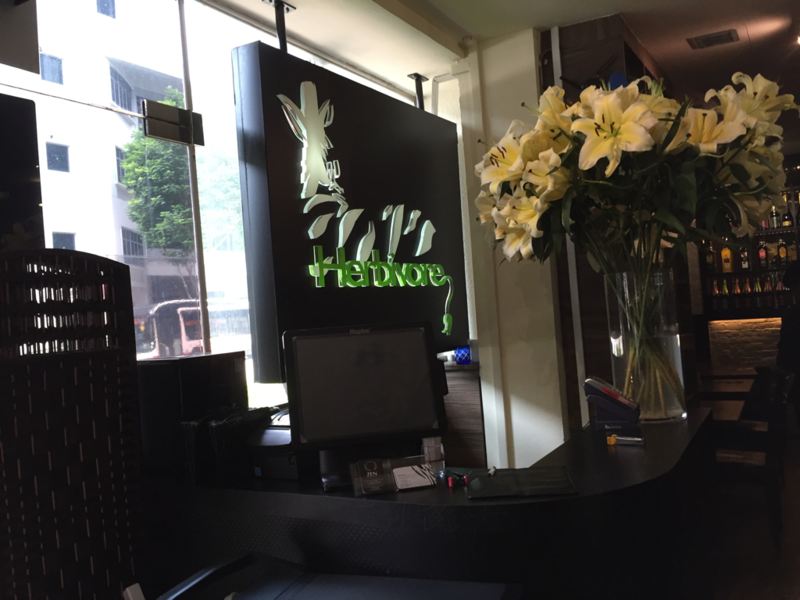 Zen Japanese Vegetarian Restaurant and Herbivore Vegetarian Restaurant used to exist separately, until the owner, Mr Ho CS, decided to merge the business of Zen and Herbivore and to operate it as one and only Herbivore Restaurant. When we reached Fortune Centre, Herbivore looked pretty dark from the outside from far away so we were slightly disappointed thinking that it was closed but upon walking closer, we were overjoyed to realise that it was actually open! I think that Herbivore can work on this, to make sure they don't lose customers just because they were misled by the darkness of the restaurant. Actually, the insides of the restaurant are quite dark as well, probably because the blinds are drawn down and tinted glass is used to make the windows and doors. The inside of the restaurant, other than the darkness, is actually really nice! I like the wooden theme with strategically-placed flowers. It kind of gives you the feeling whereby you're in a forest and you're really a herbivore, lol. To the left of the photo is a shelf filled with bottles of drinks - it really satisfies the OCDness in me. To the right is the kitchen! 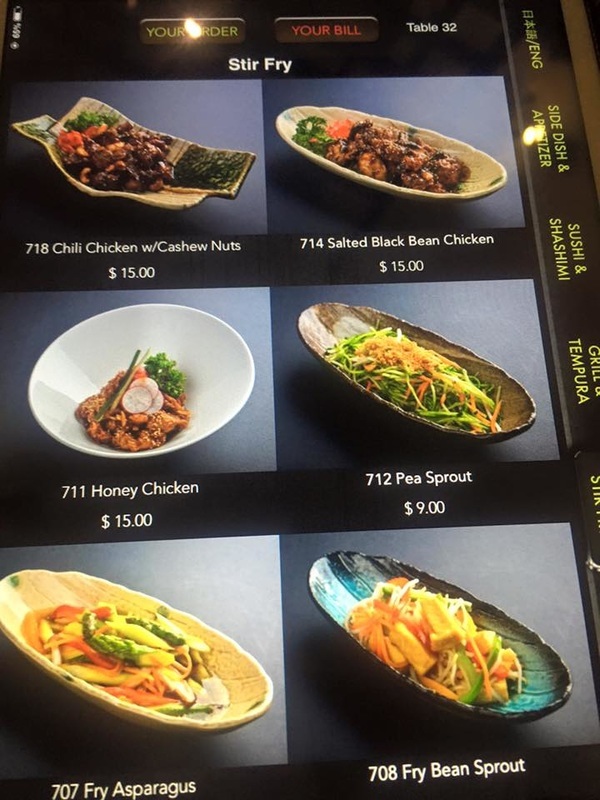 Herbivore actually uses digital menus, whereby we were to send in our orders via the iPad placed on our tables with the help of the staff. I think this is quite a smart way of using technology as this frees out some time for the staff to do other things, thereby increasing efficiency. The menu had all types of food - from bento and sushi, to side dishes and even western food! 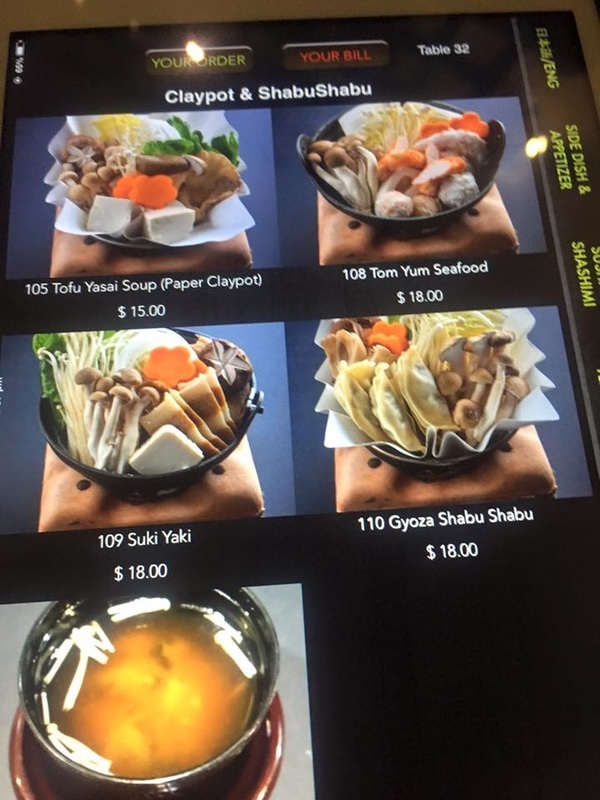 Each category also had so much stuff to choose from we literally spent about 20 minutes deciding what to order! 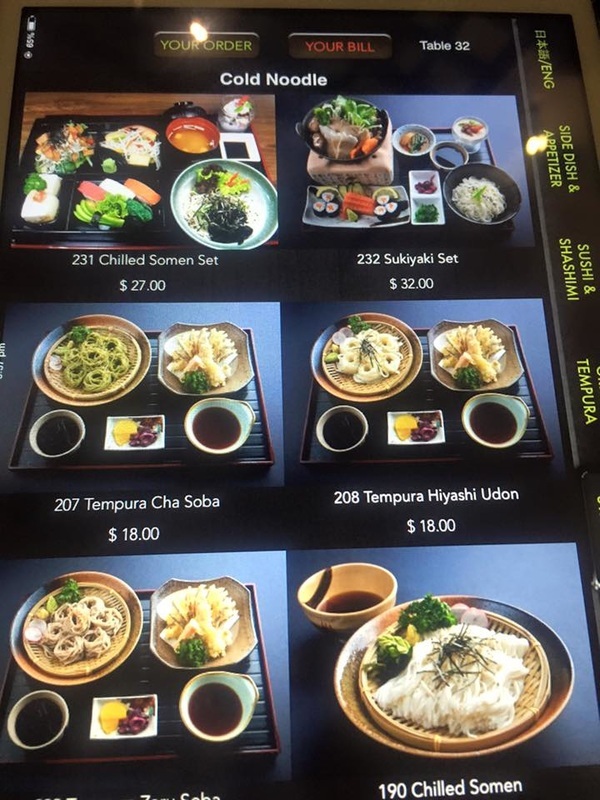 Unfortunately, I was unable to take photos of the menu on the iPad (anyway the menu is too extensive to be able to take photos of every page) but I was able to find some photos of their menu on Facebook taken by one of their customers! We ordered these veggie meatballs to share! It came within 5 minutes of ordering, which is extremely efficient. It came topped with a teriyaki glaze and sesame seeds, garnished with parsley and red ginger! 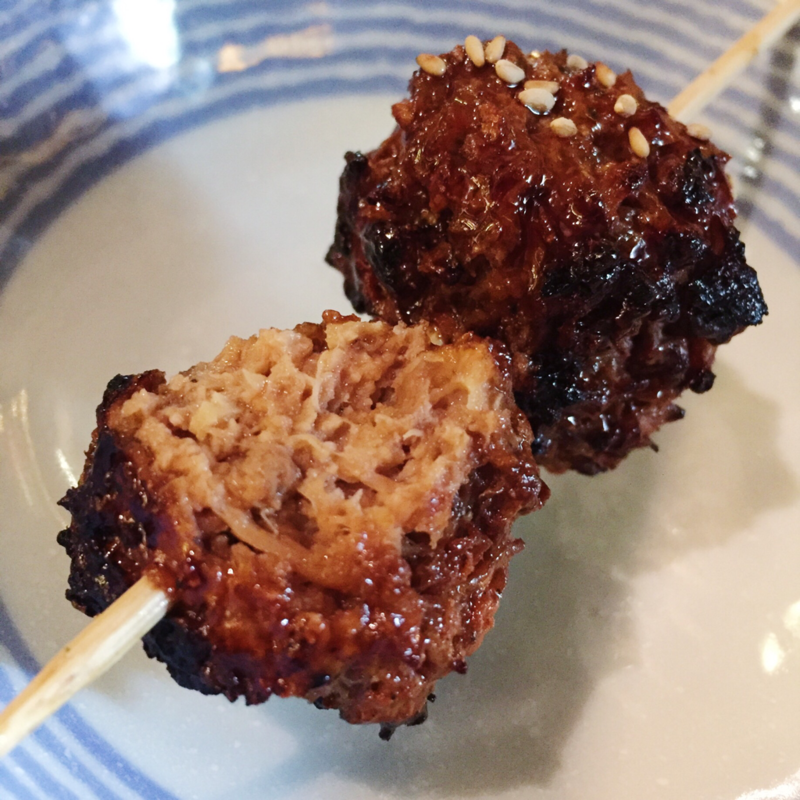 These 'meat'balls tasted LEGIT. Like, the most legit I've ever tasted. Even more legit than those I've eaten at Hotcakes (the western stall I always patronise also in Fortune Center)! I was pleasantly surprised. I also loved the teriyaki sauce! 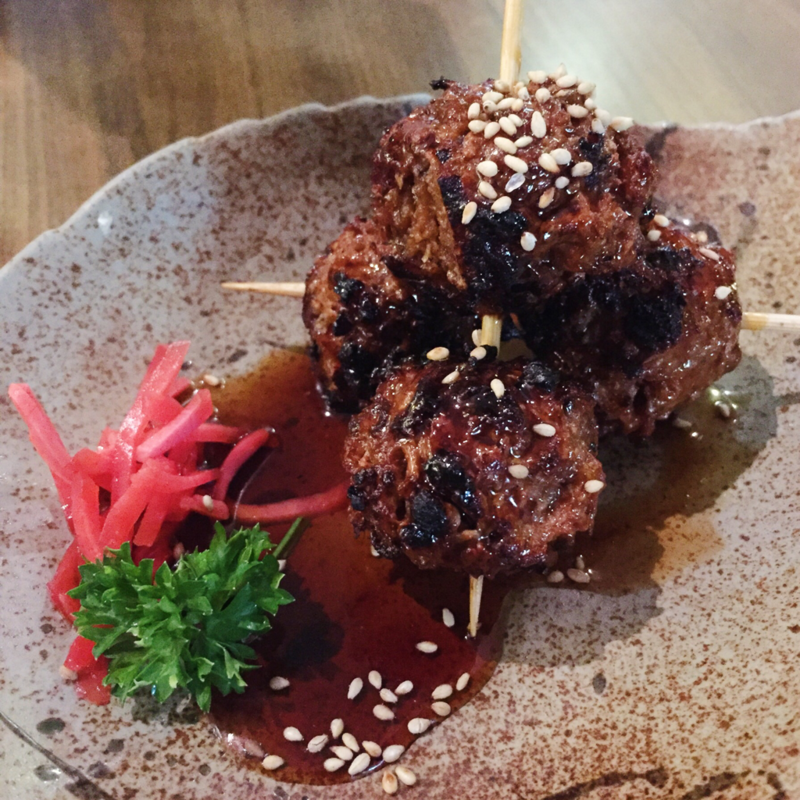 It was thick and salty, with a slightly smoky flavour to it - so yummy when the 'meat'balls soaked up all the sauce and released them in my mouth! Definitely a must order! My friend ordered these salmon avocado maki because she said that she had tried the unagi maki in her past visit and she really liked it. The filling of this sushi rice roll was mock salmon, avocado, tofu and cucumber, topped with mayonnaise, teriyaki sauce and some sort of vegetable floss. The vegetables in the sushi rice roll tasted really fresh! The crunchiness of the cucumber went really well with the silky smoothness of the tofu and avocado. However, I did not enjoy the texture of the mock salmon itself as it felt squishy, slimy and jelly-like in my mouth. That may or may not be the real texture of salmon sashimi - I do not know as much to many people's dismay, I have never ever tried raw salmon in my life. 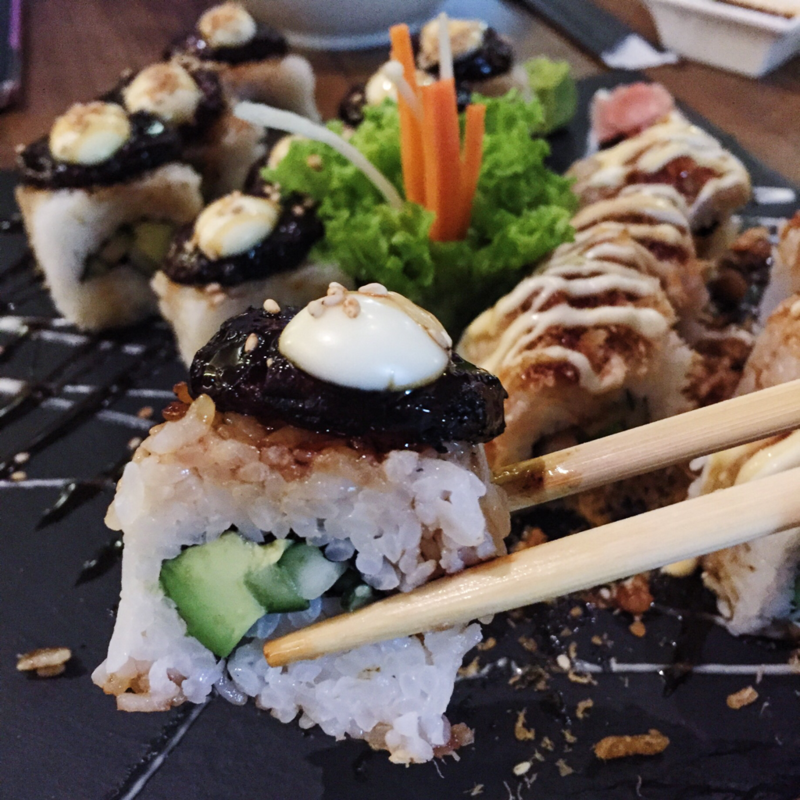 The toppings on top of the maki, however, were spot on. I loved the sweetness of the crispy bits of mock floss, mayonnaise and teriyaki sauce. 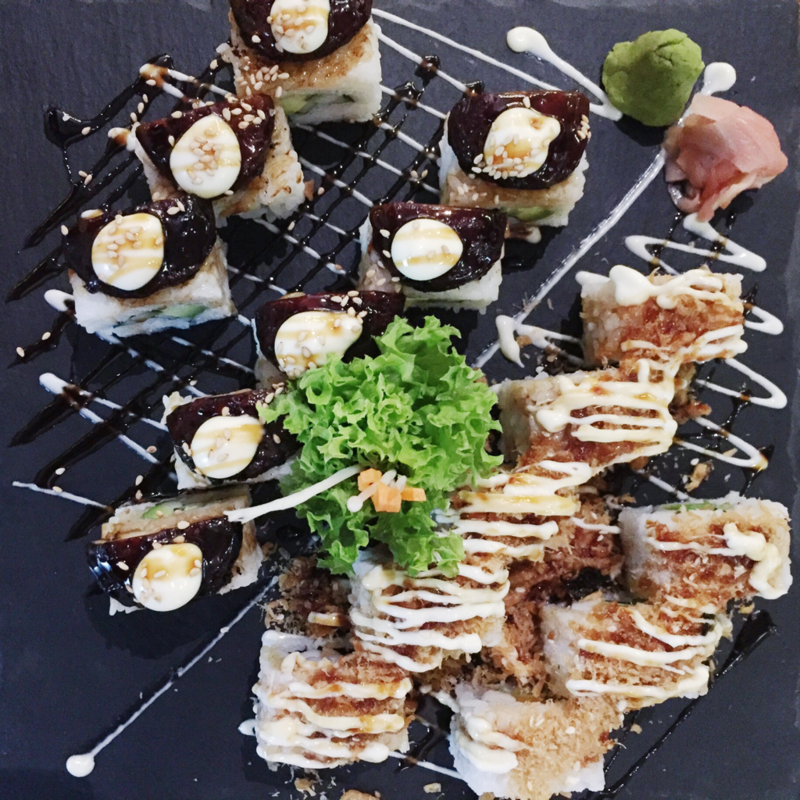 The sweetness of the toppings went really well with the sweetness of the vinegared sushi rice. 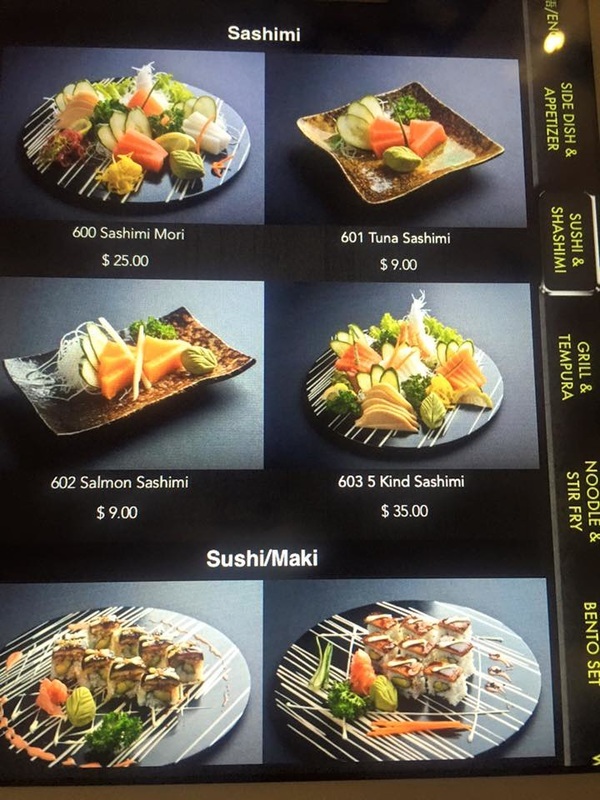 Even though the salmon sashimi may not be up to standards, I still commend their efforts on trying to come up with a salmon sashimi substitute for transitioning vegetarians. 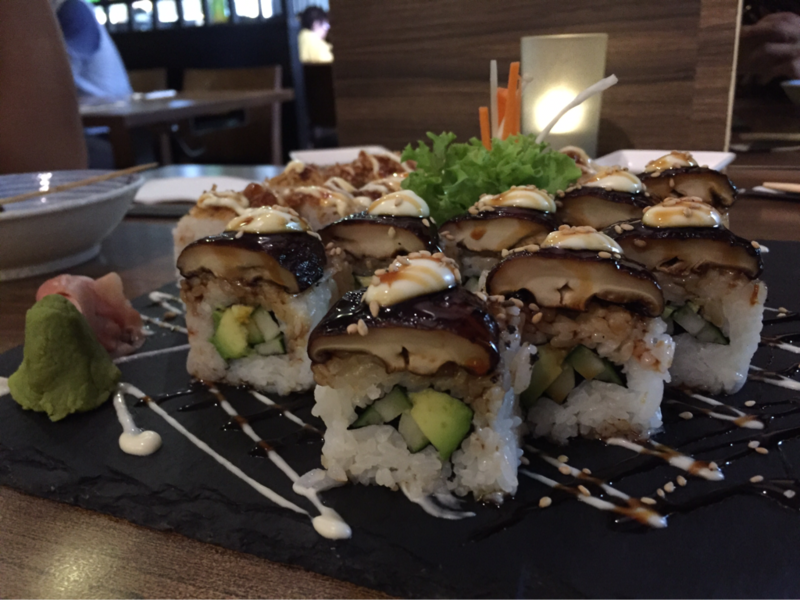 This roll came filled with avocado and cucumber, topped with a shiitake mushroom, mayonnaise, teriyaki sauce and sesame seeds. I really liked this sushi as well! The shiitake mushroom was tender and juicy, the cucumber was fresh and crunchy and the avocado was creamy. I really liked this one as well, just that it would have been better with some added crispy mock floss. I really really enjoyed both types of sushi, but if I had to make a choice between the two, I would choose the salmon avocado because of the floss! 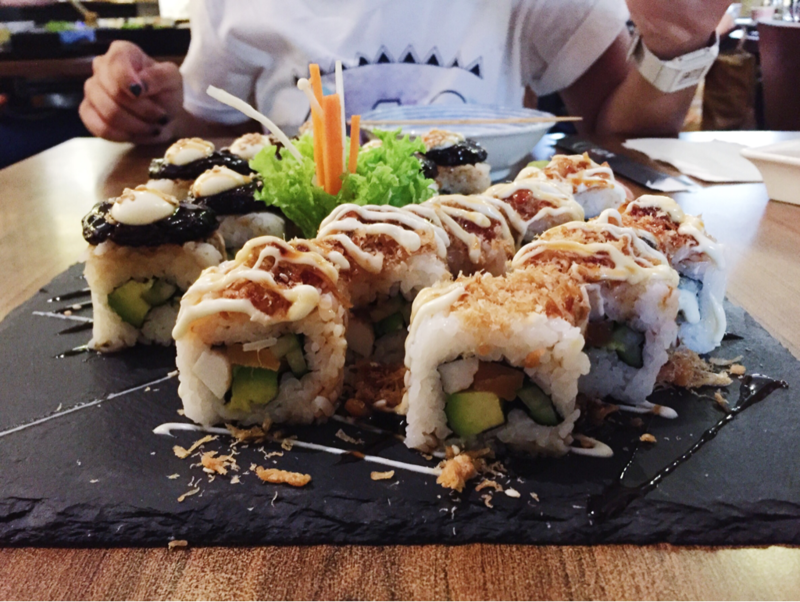 However, if they could do a cross between the two - shiitake maki topped with veggie floss, that would be perfect. Both of them were plated onto a black square plate, garnished with lettuce, carrots, enoki mushroom, mayonnaise, teriyaki, wasabi and ginger. I liked the look of the plate (very Instagram worthy) but felt that the ginger was not very good as it had a weird smell and taste. 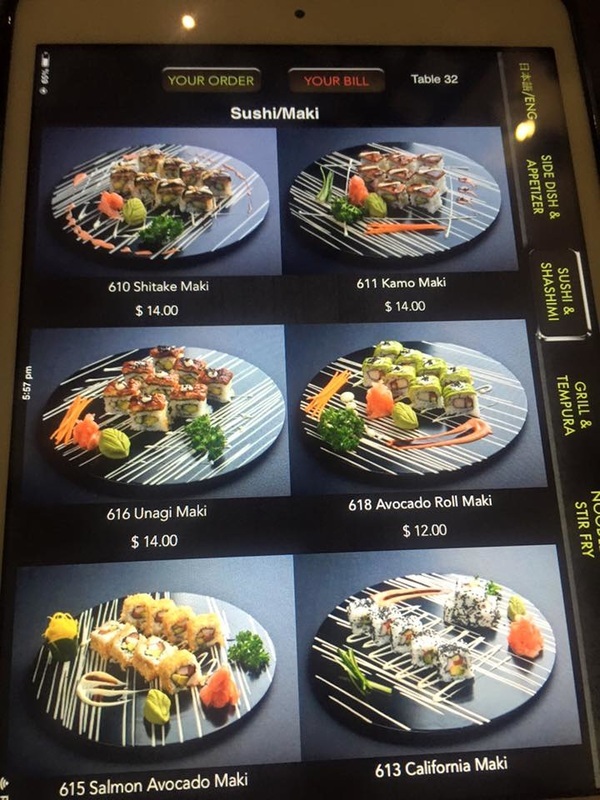 In total, my friend and I paid almost close to $20 each for two rolls of sushi and a plate of mock meat, which is really quite overpriced! However, I feel that it is pretty worth it as the food is really - I mean REALLY tasty. Overall, I would definitely recommend this place to everyone. The Japanese cuisine is one of my favourites, but unfortunately is not very vegetarian-friendly other than the few vegetarian sushi options. 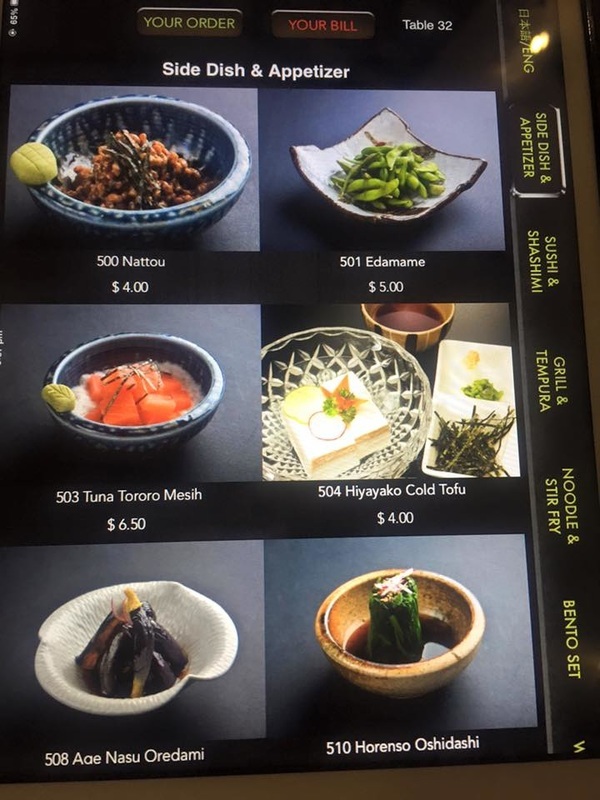 Even though the Japanese food at Herbivore may be quite pricey, I feel that it is quite worth the price as the food they serve is of high quality and really really delicious. 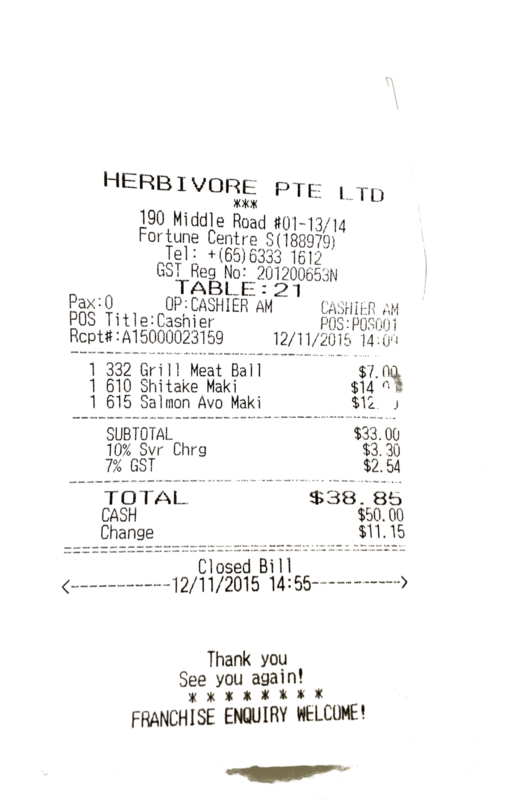 I would definitely come visit Herbivore again soon to try their bentos as well as the unagi maki.